With our recent trip to St. Maarten/Martin and day trip to Anguilla wrapped up, the time to look back begins. There were highlights, along with a few lowlights, but there will be plenty of time to discuss those in the future. For now, we’ll take a look back through our Instagram posts where beach bars, as always, took center stage. Mullett Bay Beach was not a complete surprise. What was surprising was how beautiful it was in person. 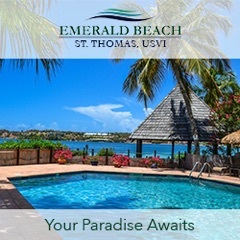 If you’re staying on the island, it’s a must visit … along with a visit just north to the French side and Kali’s Beach Bar. Located on Friar’s Bay, Kali’s is a front runner for my new favorite beach bar on the island. Friar’s Bay Beach Café, on the other hand, is not. We also visited Simpson Bay where despite Karakter disappointing, we discovered a surprise at the beach bar at El Zafiro. 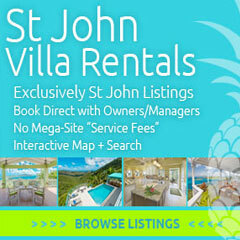 It’s another must visit on the island and I envision one of my future stays taking place at this beauty of a boutique. Last but not least, there was the always dependable Sunshine Shack – still a favorite, still with Garvey large and in charge. If you visit Anguilla and don’t find your way to Garvey’s beach bar, don’t tell me. I’d be sorely disappointed in your life decisions. I’ll be posting more about the trip as time allows. If you want to see what I’ve posted already, you can search for the hashtags “bbbsxm” and “bbbaxa” on this blog and all of the associated social media sites. See ya online! If you’d like your images to be featured on the blog, make sure you’re following @beachbarbums, use the #beachbarbums tag and/or tag us in your pics. If you have a travel blog or personal website, I also try and post links to those whenever possible. I occasionally give away free stuff to some of my favorites so that’s pretty cool, I guess. Plus, the blog gets a BUNCH of views per day and the article is shared to all of my social media sites – you’ll never find a more dedicated group of beach bar lovers anywhere! If you’d like me to write an article featuring just your photos, send me an email at info at beach bar bums dot com and we’ll talk it over. Don’t forget to follow us on Instagram! It’s the most fun you’ll have staring at your phone. Cheers! Made sure to get a seat on the right side of the plane so I could get this shot! So glad to finally be back on the island! If you have time, tune into Island 92 or Z105.1 at 8:15 this Wednesday morning as I sit down with @socisland92 for an in-studio interview. You can go to island92.com to stream it online. See ya on the airwaves! To say that Mullet Bay Beach is beautiful would be a huge understatement. It's breathtaking and the color of that water – it's like looking at a pool. Glad we went to it! My hunt for the elusive green flash continues as the clouds obscured any chance of seeing it again last night. The "consolation" prize was being able to witness another spectacular Caribbean sunset at @sunsetbeachbarsxm. 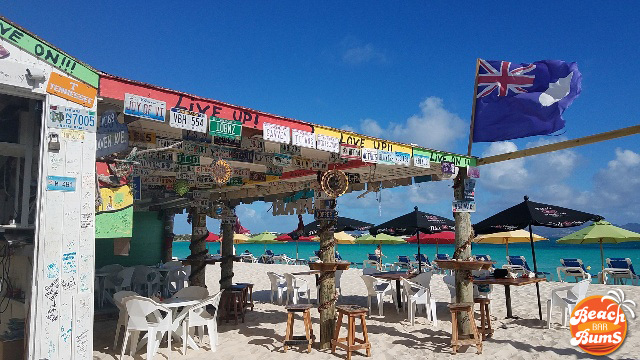 It's an early front runner for my new favorite beach bar on the island but regardless of where it ends up, you should make it a priority on your visit to #stmartin #stmaarten. In a few words, it's what shau beach bar in the Caribbean should strive to emulate. Throw in $4 'Ti Punches and the best ribs anywhere (according to my brother) and it's the escape your inner beach bar bum has been begging for! I'll have a lot to say about my latest trip to #SXM at some point in the future but one pleasant surprise was the beach bar at El Zafiro on Simpson Bay. When it comes to hotels doing beach bars the right way, this boutique resort has it down to a science. Had a great day in #Anguilla and as always, our visit with Garvey at his @sunshineshack_ was a highlight. I always enjoy my conversations with him and this particular trip, he opened up to me more than he ever has in the past. You can't help but cheer for him, root for him and just love him. He's everything a beach bar owner should be and I'm honored to call him my friend. I don’t want you to question our life decisions! To Garvey’s we shall go! 🙂 Actually, we have dinner booked there this trip. So excited. I have trust in you, Erin! 🙂 I imagine dinner at Garvey’s will be hard to beat. Enjoy! Loved each and every beach bar we went to on SXM- one of my top ten vacations for sure! Thanks for coming along with us, Andy! Glad to hear you’re quickly becoming a bonafide beach bar bum. Here’s to many more trips together in the future!